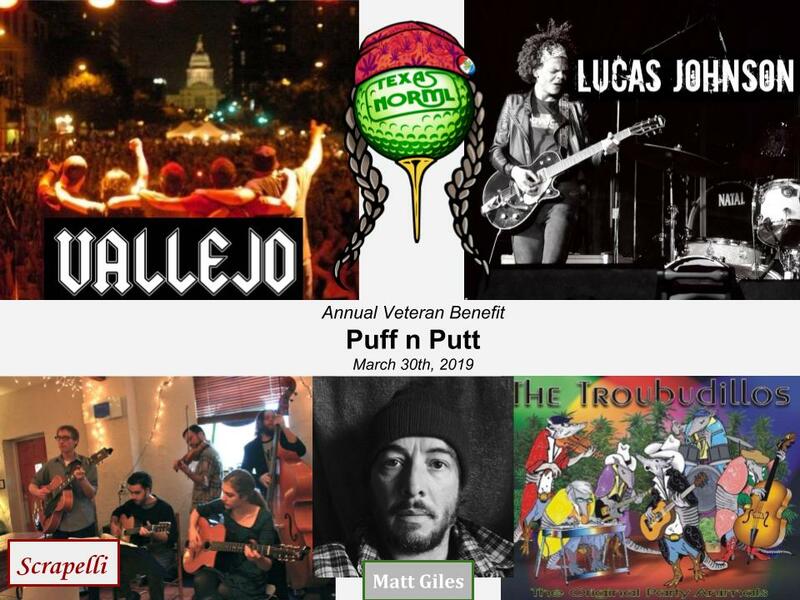 Texas NORML is proud to announce the 6th Annual Puff ‘n Putt Veteran Benefit on Saturday, March 30th, 2019. 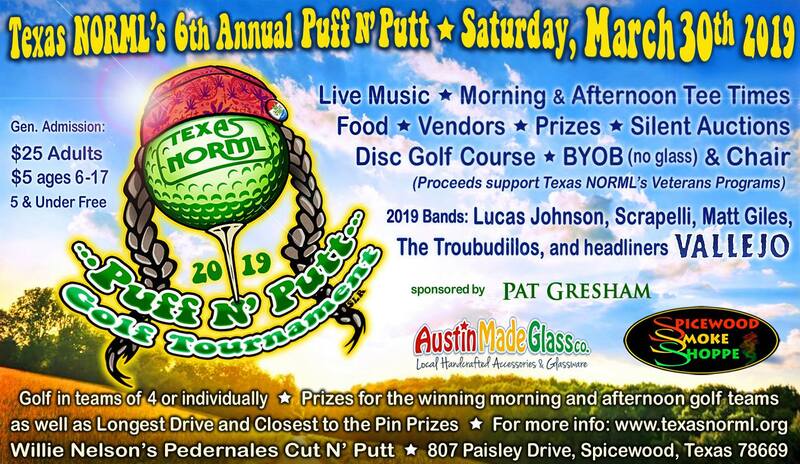 Come and enjoy a day of golf, live music, disc golf, vendors, food and a great day at the legendary Willie Nelson’s Cut-N-Putt Golf Course located in Spicewood, Texas. This family-friendly event is a benefit to raise funds for Texas NORML’s mission to gain safe access to cannabis for adults with a focus on supporting Texas Veterans and their fight in the war to re-­legalize cannabis. To be a sponsor for our event, check out our Veteran Benefit Sponsor Packet. Check out this video to learn more about what to expect out of Puff N’ Puts! Parking: Parking will be available in the course lot and the front field. Parking attendants will assist. Any overflow parking can be directed to the Briarcliff Community Center. Please note that all sales are final and there are no refunds. This event will happen Rain or Shine. Texas NORML reserves the right to accept or decline any sponsor, vendor, attendee or volunteer. Dog owners must be attentive and responsible with their dogs. Dogs must stay on a leash at all time and the owner must clean up after the dog. One warning will be given regarding the handling of owner’s dog before being asked to leave. In no event shall Texas NORML or the Board be liable for any injury, lost property or profits, severe weather, or any other incidents. Texas NORML does not endorse or guarantee and products sold, services rendered, or vendors participating at our event.